As Shakespeare’s Juliet famously wondered, what’s in a name? Although the Bard of Avon implied (or at least Juliet did) that names have little meaning, we marketers know better. Here at BAM, we spend long hours choosing different names for our clients’ communities. These names need to convey, often in just one word, everything that’s essential to the community. They must embody its spirit. They must be easy to remember. It helps if they’re catchy. Of course, the fact that Builder Advertising & Marketing happens to form such a short potent acronym is not a coincidence. But that’s not the main reason we use it — the way I see it, BAM works as a name because it’s an onomatopoeia. Indeed, the word “bam,” which dates from 1772 or thereabout and imitates a sudden loud noise, is “often used interjectionally to indicate a sudden impact or occurrence.” Which is precisely what we like to do for our clients — to create an impact. 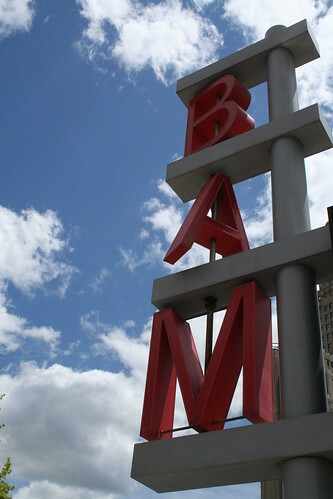 In other words, BAM works because it’s an acronym that stands for what we do. It works because it’s short and memorable. Above all, it works because it embodies, better than any other word, the idea of an impact. I’m often reminded of this when I go to an event and someone greets me with a loud “BAM!” I always think, “Thanks for the free publicity,” even as some passers-by look on, a confused look on their face, probably wondering why somebody shouted “bam” at me.